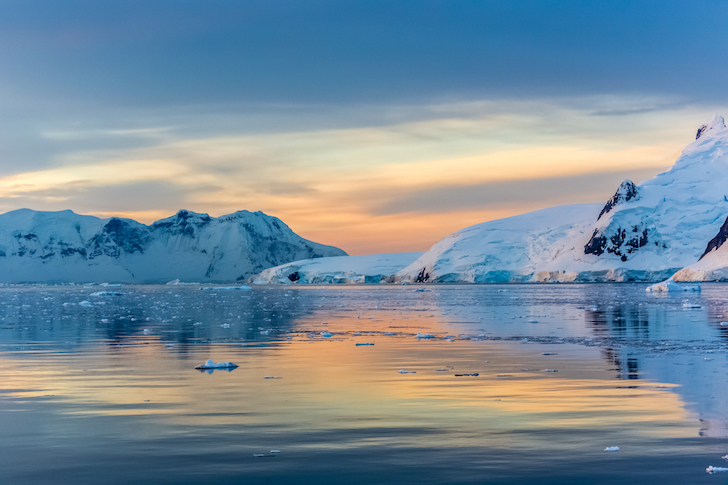 If you want a cruise that is a once-in-a-lifetime adventure with more breathtaking moments than you could ever imagine, this excursion to South America and Antarctica with Maurine and Scot Proctor is for you. We are headed to a place you can only go by boat to see, not only Antarctica—the most pristine place on the planet, but also southern Chile and Argentina, a region that is known as Patagonia. This cruise is a bucket-list item for every real adventurer and has to be considered the globe’s most priceless travel destination. But for us, we get to experience the stunning wilds with its exotic animal life, looming volcanoes and untouched parks from the comfort and luxury of a cruise ship that will wind its way through green channels and Chilean fjords. Lonely Planet guidebooks listed Chile at the top of its “Best in Travel 2018” collection. This list names the countries that should be on every traveler’s to-do list, and this year, Chile has earned first place on that list. Every sea day the Proctors will lecture. Wednesday, Jan. 30—Embark the ship and depart Santiago, Chile. For those who arrive early enough, spend the day in Santiago. It is the sophisticated, cosmopolitan and beautiful capital of Chile, rich in culture and color. We begin today to wend our way south to places you probably would never visit by car. Much of the scenery to follow can only be seen on an ocean voyage—and the ship has all the amenities to make every day packed with activity, entertainment, and exquisite cuisine. The west coast of Chile is a brocade of islands, archipelagos, lakes and bays, where green mountains cascade into the sea. The heritage of Puerto Montt is an eclectic mix of German and Chiloé culture. This is the capital of the Lakes District and the region’s commercial and transportations hub. Here you can have kuchen (German for cake) while at the same time being at the entrance to the region’s mountainous national parks and soaring, snow-capped volcanoes. When you arrive, you might think you’ve been plunked down into a corner of Bavaria, if the signs weren’t all in Spanish. Chiloe is a 41-island archipelago with the largest of these being Chiloe Island, which was ranked as #3 place to visit on Lonely Planet’s 2009 list. The secret is out about its palette of colors—not only the cobalt-blue glacial lakes and emerald fjords, but also its brightly painted homes, some on stilts. It is nationally-famed for its cuisine, but it also has a rich spiritual culture and distinctive mythology—which is a mix of ghost ships and forest gnomes. Puerto Chacabucco is a tiny town of just over 1,000 residents sitting at the head of the Aisén Fjord. But from here you are just a short drive away from Rio Simpson National Reserve, known for its sparkling waterfalls, spectacular vistas, and crystal clear streams. Dozens of rivers hurry their way through mountain formations where mountain serenity will mark your soul. With stunning peaks as a backdrop, the fjords and islands of the Chilean coast are narrow channels with soaring granite walls closely passing the ship. Sometimes you can see a high waterfall plunging into the cold water below. These are the southernmost glaciated inlets of the world, totally off the beaten path, unencumbered and unspoiled. It is the secret wonder of South America. As we continue our cruising of the unparalleled landscape, we also note that this is a place of a splendid array of wildlife. Endless colonies of penguins, migrating whales, cormorants and elephant seals. If you are searching for a place that is totally off the grid and out there, this is it. You’ll never find anyplace else on earth quite like this. You’ll also see in these waters what one traveler called the “awesome, amazing, astounding, astonishing Amalia Glacier. This is 50 degrees south of the equator and people gather on the deck to see this remarkable sight. You may not have thought of Ferdinand Magellan recently, but he was the first explorer who made the confusing journey through the network of channels, islets and fjords that now bear his name as the Straits of Magellan. It is curvy, and relatively narrow, with several islands along the way. This was the main sea route between the Atlantic and the Pacific until the Panama Canal opened in 1914. There are some beautiful lighthouses along the way, and Magdalena Island. Punta Arenas is the capital of Chile’s southernmost region and stands right at the edge of the Strait of Magellan—so you can imagine its colorful and blustery history. Ushuaia is considered to be the southernmost city of the world, remotely located on the island of Tierra del Fuego. It’s name means “the bay that penetrates westward.” Due to its location and proximity to the Antarctic Islands and continent, it is considered the gateway to Antartica. Tierra del Fuego National Park has numerous outdoor activities as well as seals, orcas, and penguins that glide across the silver water. Bird abound. Cradled between the towering Martial Mountains and the pristine Beagle Channel, it is surrounded by a spectacular collection of natural wonders. Today we round the southernmost tip of South America named in 1616 by Dutch navigator Willem Schouten after his birthplace in Hoom, Holland. Many who see some of the wonders we have just passed through compare them to Alaska, but stress that everything is much larger, cleaner and more impressive. In the early days, sailors who came around Cape Horn were granted certain liberties. They were entitled to wear a gold loop earring in their left ear because that is the ear that faced the Horn in an eastbound passage. Today it is a major attraction for sailboat races and circumnavigation. Lectures at sea and enjoying the amenities and activities onboard the beautiful ship. With no permanent human residents and no established countries, very few people ever get the chance to see this spectacular continent. With 99% of the continent covered in ice, you’ll need a boat to get there. Unless you’re on a research team or a cruise ship, there are very few ways to make the trek over. You will get to go right to the heart of glacial beauty in style and comfort. Imagine yourself cozying up on the deck with a comforting hot beverage, sitting front row to a show most won’t ever get the chance to see! Still, tranquil and jaw-droppingly massive, Antarctica’s glaciers are one of the most amazing sights you’ll ever see. Snow-capped mountains blend into a cloudy sky with white sheets of ice surrounding the base. Adorable penguins slip and slide on clear-blue ice floating above the water’s surface. Antarctica’s remoteness is both calming and thrilling. We will be cruising in the Palmer Archipelago, the Danco Coast and the Antarctic Sound. Our ship will take you right up close to all the best sights, guaranteeing stunning photo opportunities. In their tuxedo-like coloring, playful antics, wit and signature waddle, penguins of the southern hemisphere will show off in their natural habitats. Observe their spirited behavior and waddle along with them! They’re undeniably cute and lovable, and always ready to pose for a picture. One traveler said, Hope Bay, Newmeyer Channel, and Lemaire Strait were standouts, but every minute was outstanding. Penguins, everywhere and especially at Hope Bay were a treat!” Highly recommended. Lectures at sea. Enjoy onboard buffets, activities and time to relax (perhaps with your Valentine). Bright red British telephone booths can be found outside the post office, which also serves as the town hall and dance hall. Here you can have an experience where you walk among our flightless, tuxedoed bird friends. Puerto Madryn was founded by Welsh settlers in 1886 and still has a bit of that Welsh flair about it. It is second to none for marine wildlife watching and centers for promoting conservation and education. It is also a bustling city that is pleasant in itself with summer temperatures (and we will be there in summer) that matches Buenos Aires. Lectures at sea. Catch the southern hemisphere’s summer sun from the deck as you kick back and reflect on all you’ve seen so far. Montevideo, the capital of Uruguay, is a port that includes many import and export businesses and is rated as having the highest quality of life in any city in Latin and South America. It is a place rich in architecture, libraries, museums and galleries and is noted for its vibrant culture. The city squares are charming, blooming with monuments, statues and fountains. The layout is very similar to a European city, while the tang of grilled barbecue from street vendors fills the air. We’ll need two days in Buenos Aires, sometimes referred to as the Paris of the South. It’s marked by wide, tree-lined streets, public squares and massive, beautiful buildings with architectural detail, reminiscent of Europe. This is a city with a marketplace that seems to stretch forever with colorful goods that will be a vibrant reminder of your trip. The Iguazu Falls are shared between Argentina and Brazil and is widely considered the most spectacular treasures in the natural world. When Eleanor Roosevelt saw Iguazu, she said, “Poor Niagara.” It consists of 275 individual waterfalls that span 1.7 miles in width and range in heights from 196 to 270 feet. Truly breathtaking. The paths for the tourists allow you to see the waterfalls up close and, if you choose, inflatable boat services take tourists directly under the waterfalls. Many tourists wear brightly colored rain ponchos, but your clothes will become wet anyway, just from the mist in the air. This is the perfect epilogue to a trip that has exposed you to beauty you may have hardly thought possible. 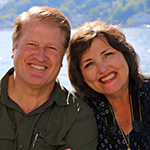 Scot and Maurine Proctor have been leading tours for 27 years and each year lead groups to Israel, Egypt and Jordan in the spring and on a Church History tour in the fall. They are the founders, publishers and editors of Meridian Magazine and together have written several books including Witness of the Light, Source of the Light, and The Gathering. Maurine wrote The Spoken Word for the Mormon Tabernacle Choir for 15 years and Scot has had a year long display of his photography at the Church Museum of History and Art. They have taught Institute for 15 years and have spoken at BYU’s Education Week and BYU’s Women’s Conference. Did this trip last January, The scenery and experiences were spectacular. I was amazed at how much I liked the Falkland Islands. Is there an opportunity to hold sacrament meeting on the Sabbath during this trip? That's always a deciding factor in planning our travel. We're going on a British Isles trip soon and made sure that Sundays were in port where we could visit a branch of the Church.